State Farm “like a good neighbor” was called into question after Hurricane Katrina when State Farm denied thousands of home owner’s claims for damages. In 2006 a lawsuit was filed under the False Claims Act, which allows people to sue on behalf of the government over allegations that it has been defrauded. The suit accused State Farm of fraudulently seeking to avoid covering losses and costs. The suit originated when two whistle blowers, sisters who were former claims adjusters for state farm, disclosed the alleged fraud by filing suit. The issue of fraud revolved around the source of the damages to property destroyed by Hurricane Katrina. Property owners believed and claimed damages were covered under the policies of insurance since the damage was caused by wind, which would be covered by the owners’ insurance policy with State Farm. However, State Farm concluded and argued that the damage was flood-related, which instead was covered by the federal government’s flood insurance program and not by State Farm. Verdict in their favor and against State Farm was entered back in 2006. In 2015, the New Orleans-based 5th U.S. Circuit Court of Appeals upheld the 2006 jury verdict. Recently the Supreme Court on Tuesday handed victory to the two whistle blowers again. The Supreme Court ruled 8-0 to reject State Farm’s challenge to the 2015 lower court decision which up held the 2006 verdict. State Farm seeking to overturn the lower court’s decision argued that the claims brought by the sisters, former claims adjusters for state farm, should be set aside because their attorney violated a court order requiring that the details of the case be kept under seal and not disclosed to the public. State Farm alleged that the sister’s attorney had distributed information about the lawsuit to members of the news media. False Claims Act’s lawsuits are required to be filed under seal and remain private for 60 days. In 2006 the jury found that the federal government had been defrauded of $250,000, and State Farm was ordered to pay $758,000 in damages. The sisters were awarded $227,000 for disclosing the fraud under the False Claims Act and almost $3 million in attorney’s fees and expenses. State Farm’s comment that it was greatly disappointed in the ruling comes as no surprise. POSSIBLE WRONGDOING BY STATE FARM IN TEXAS – IMPROPER CLAIMS HANDLING AFTER HURRICANE HITS TEXAS – HARRIS CLAIMS SERVICES. STATE FARM INSURANCE, THE NATION’S LARGEST HOME INSURER, FACES A NEW CRIMINAL INVESTIGATION IN TEXAS RELATED TO HOW IT HANDLED POTENTIALLY TENS OF THOUSANDS OF HURRICANE CLAIMS THERE, ABC NEWS HAS LEARNED EXCLUSIVELY. GREGG COX, WHO LEADS THE PUBLIC INTEGRITY UNIT OF THE TRAVIS COUNTY DISTRICT ATTORNEY’S OFFICE IN AUSTIN, CONFIRMED TO ABC NEWS HIS INVESTIGATORS RECENTLY LAUNCHED THE PROBE AFTER REVIEWING NEWLY RELEASED COMMUNICATIONS FROM TOP STATE FARM MANAGERS IN TEXAS. SOME OF THE SAME COMMUNICATIONS HAVE LED TO LAWSUITS BY CUSTOMERS WHO SAY THEY WERE DEFRAUDED BY STATE FARM LLOYDS, THE TEXAS SUBSIDIARY OF THE LARGER INSURANCE COMPANY. THE DOCUMENTS IN QUESTION RELATE TO AN ALLEGED COVER-UP BY STATE FARM MANAGEMENT RELATED TO ITS DENIAL OF CONSUMER INSURANCE CLAIMS FOR A COMMON TYPE OF ROOF DAMAGE THAT OCCURS DURING HIGH WIND EVENTS AND HURRICANES. JIM WARNER, A LONGTIME HOMEOWNER IN MISSOURI CITY, TEXAS, HAD BEEN A CUSTOMER OF STATE FARM INSURANCE FOR MORE THAN 20 YEARS BEFORE FINDING HIMSELF IN THE CENTER OF THE NOW BREWING CRIMINAL INVESTIGATION. HE SAYS HE HAD NEVER FILED AN INSURANCE CLAIM UNTIL HURRICANE IKE IN 2008 AND HAD ALWAYS PAID HIS MONTHLY BILLS TO STATE FARM ON TIME. HOWEVER, WARNER FILED SUIT AGAINST STATE FARM AFTER HE SAYS THE COMPANY DID NOT FOLLOW THROUGH ON ITS SLOGAN THAT PROMISES, “LIKE A GOOD NEIGHBOR, STATE FARM IS THERE.” WARNER ALWAYS BELIEVED HIS POLICY WOULD COVER ALL TYPES OF DAMAGE TO HIS ROOF, BUT WHEN HE WENT TO FILE A CLAIM HE SAYS HE WAS SHOCKED TO LEARN THAT WAS NOT THE CASE. WARNER’S LAWSUIT ALLEGES THAT STATE FARM DOCUMENTS ESTABLISH A CLEAR INTERNAL POLICY OF INTENTIONALLY DENYING CONSUMER CLAIMS FOR ROOF DAMAGE SIMILAR TO WHAT WARNER EXPERIENCED. WARNER’S ATTORNEY, STEVE MOSTYN, CLAIMS THE SYSTEMATIC DENIAL OF THOSE TYPES OF CLAIMS MAY HAVE QUIETLY SAVED STATE FARM CLOSE TO $1 BILLION. MOSTYN SAYS STATE FARM DOCUMENTS OBTAINED IN THE LAWSUIT REVEAL AN ATTEMPT BY MANAGERS TO HIDE THE COMPANY’S POLICY OF NON-PAYMENT FROM STATE INSURANCE REGULATORS. IN WARNER’S CASE, HIS PROBLEMS BEGAN AFTER HE SAYS THE HIGH WINDS OF HURRICANE IKE CAUSED THE SHINGLES ON HIS ROOF TO BECOME “LIFTED.” THOSE WINDS, WARNER ALLEGES IN HIS SUIT, BROKE THE SEAL UNDER WARNER’S SHINGLES THAT NORMALLY CREATE A WATER-TIGHT BARRIER. WARNER SAYS AN INDEPENDENT ADJUSTER HE HIRED AGREED THE DAMAGE WAS EXTENSIVE AND RECOMMENDED WARNER’S ROOF BE REPLACED. WARNER ALLEGES, HOWEVER, STATE FARM REPEATEDLY REFUSED TO ADMIT THE UNSEALED TABS WERE DAMAGE THAT SHOULD BE PAID UNDER THE POLICY. SO WARNER FILED A CONSUMER COMPLAINT WITH THE TEXAS DEPARTMENT OF INSURANCE, HOPING THE REGULATOR COULD HELP. HOWEVER, WARNER’S LAWSUIT SAYS IT WAS DURING THAT VERY INVESTIGATION OF HIS COMPLAINT TO INSURANCE REGULATORS THAT STATE FARM BEGAN TO COVER UP ITS PRACTICES OF REFUSING TO PAY FOR THIS KIND OF DAMAGE. THE REFERENCE WAS SUBSEQUENTLY REMOVED, AND THAT SAME CATASTROPHE MANAGER THEN FORWARDED THE NEWLY REVISED LETTER TO OTHER UNNAMED COLLEAGUES AT STATE FARM “FOR YOUR REVIEW” BEFORE IT WAS SENT OFF TO THE STATE. ATTORNEY MOSTYN SAYS STATE FARM FOUGHT HARD TO KEEP FROM HAVING TO DISCLOSE THOSE AND OTHER DOCUMENTS, BUT LOST THE FIGHT. HE SAYS OTHER DOCUMENTS SHOW THE INSURER ATTEMPTING TO DELETE OTHER REFERENCES TO THE COMPANY’S POLICY OF NOT PAYING LIFTED-SHINGLES CLAIMS. WARNER’S LAWSUIT ALLEGES THAT NEARLY 100,000 PEOPLE MAY HAVE HAD THEIR CLAIMS FOR SIMILAR PROBLEMS WRONGLY DENIED, ESTIMATING THAT MANY ADDITIONAL CONSUMERS WHO DID NOT HIRE INDEPENDENT INVESTIGATORS TO INSPECT THEIR ROOFS MAY BE UNAWARE THEY ARE ACTUALLY DAMAGED TODAY AND SUSCEPTIBLE TO PROBLEMS IN FUTURE WINDSTORMS. LONGTIME TEXAS STATE SEN. RODNEY ELLIS REVIEWED MANY OF THE DOCUMENTS AND COMMUNICATIONS. ELLIS SAYS HE HAD RECEIVED MANY COMPLAINTS FROM HIS OWN CONSTITUENTS ABOUT SIMILAR PROBLEMS AND HAD PREVIOUSLY ASKED THE TEXAS INSURANCE COMMISSIONER TO LAUNCH A WIDESPREAD INVESTIGATION OF STATE FARM. WHILE HE SAYS THAT HAS NOT HAPPENED TO DATE HE WELCOMES THE TRAVIS COUNTY CRIMINAL PROBE. ELLIS HAS SUCCESSFULLY CALLED OTHER INSURANCE COMPANIES TO TASK ON THE VERY SAME ISSUE OF NOT PAYING FOR LIFTED SHINGLES DAMAGE. HE PREVIOUSLY CALLED FOR A CIVIL INVESTIGATION BY THE TEXAS DEPARTMENT OF INSURANCE AGAINST THE TEXAS WINDSTORM INSURANCE AGENCY AND ITS SISTER COMPANY THE TEXAS FAIR PLAN ASSOCIATION, ALLEGING A SIMILAR ORGANIZED PATTERN OF NON-PAYMENT OF LIFTED-SHINGLE CLAIMS. THE RESULTING INVESTIGATION ULTIMATELY LED TO ENFORCEMENT ACTION BY THE TEXAS DEPARTMENT OF INSURANCE AGAINST BOTH COMPANIES. THE STATE REGULATOR REQUIRED EACH OF THOSE COMPANIES TO GO BACK AND REEVALUATE CLAIMS AND PAY FOR, AMONG OTHER THINGS, SHINGLES LIFTED AND UNSEALED BY HURRICANE FORCE WINDS ON ROOFS. ABC NEWS HAS CONFIRMED GRAND JURY SUBPOENAS HAVE BEEN SERVED TO STATE FARM. “WE HAVE REQUESTED A LARGE AMOUNT OF INFORMATION FROM THEM, AND THEY ARE COMPLYING WITH OUR REQUESTS,” SAID GREGG COX OF THE TRAVIS COUNTY D.A.’S OFFICE. STATE FARM LLOYDS SAYS IT WILL SOON FILE PAPERS WITH THE COURT DISPUTING THE CLAIMS MADE IN THE WARNER’S RECENTLY AMENDED LAWSUIT. THE CRIMINAL INVESTIGATION BY THE TRAVIS COUNTY DISTRICT ATTORNEY’S OFFICE IS FOCUSED ON STATE FARM’S ACTIONS IN TEXAS. ABC NEWS WILL BE LOOKING INTO STORIES AND COMPLAINTS FROM CONSUMERS WHO LIVE IN OTHER STATES. WHERE AND WHO SHOULD AN INSURED TURN TO AFTER A FIRE LOSS OR OTHER INSURANCE DISASTER? After a fire or other loss it is common for one’s instinct to turn to their insurance agent. Many agents believe that they simply owe an obligation to sell you insurance and nothing more. In fact direct agents owe a duty to the insurance company and not you in most situations. In other words the agent is aligned with the insurance company and not you the property owner. Insurance Agents do NOT understand all the terms of the policy. They don’t explain what replacement cost, depreciation and actual cash value mean when having a claim paid. Agents do NOT counsel and do not prepare estimates or take part in the insurance claim. They are like the car salesmen who sold you the car. Once out the door their job is done. Any repairs have to be dealt with in the repair shop. Remember who butters the agent’s bread. Who pays for all the advertising that steers the business to the agent? Insurance agents and insurance companies have long standing relationships. These relationships most often create a conflict between providing the consumer with the best possible service and earning the highest commission. Agents often resolve the conflict in favor of the insurance company and not you the insured. Attorneys and Public Adjusters like those at Harris Claims Services understand the process and how handle these conflicts. We have very extensive understanding and experience when it comes to interpreting insurance policies. We also understand how the litigation process works and prepare each file with that understanding. We of course hope it does not come down to that, but again we prepare such for the benefit of our client’s peace of mind. Since 1989 Harris has focused on only representing property owners. The firm has worked against insurance companies for over two decades. We prepare and negotiate claims on a daily basis. Our office understands the process and what needs to be done. We don’t simply inform. We counsel our clients in controlling and handling the loss so they can focus on their business or family. We have the knowledge, the skills and the leverage necessary to establish the claim, maximize the claim and resolve coverage issues. We work night and day to assists policyholders in recovering the full benefits available to them. Consider getting the Harris Advantage if you have suffered a loss. Think of us as your insurance against insurance disputes. Harris Claims Services. 847-329-8444. Call for a no obligation consultation. BIG MISTAKE AFTER A FIRE. LEARN HOW NOT TO BE TAKEN ADVANTAGE OF. GET THE HARRIS ADVANTAGE. One of the largest and most often made mistake that occurs after a fire is when the property owner, the insured relies soley and only on the insurance company to conduct a full, unbiased, and thorough investigation of the claim. Insurance Adjusters are obligated legally to their employer. Forget the advertising. Forget the slogans that come across those ads. Remember what reality is and what Television advertising is. .
a loss. Policyholders are not experienced with handling emergency situations. Home Owners, the Policyholder, or sometimes called insureds are clearly unable to balance issues, such as preserving and protecting the damaged property with repairing and getting back into business or back into the home. You want to move fast. You do not want to move slowly. However, moving too fast or too slow is fatal to the ultimate resolution of the claim. Without knowledge of the policy coverage, exclusions, and interpretations, the insured will feel helpless when confronted with the insurance company’s settlement offer. Or worse denial of the claim. Often, the insured recovers far less than what the policy provides. After a fire or other loss, the insured, the Policyholder is urged to seek a consultation. Get the knowledge, power and leverage to handle matters. Let Harris provide you with the Harris Advantage. All consultations are no charge. There is simply no obligation. Allstate Insurance Policy says repairs must be done in 180 days to receive all the settlement monies? This information was developed to provide consumers with general information and guidance about insurance coverage and laws. It is not intended to provide a legal advice or formal, definitive description or interpretation of the Illinois Department Insurance Policies. For specific information of the Illinois Department of Insurance on any policy – on any issue, regulated entities (insurance industry) and interested parties you should contact the State of Illinois Department of Insurance or speak with an Attorney. You need to have all the facts and understand how the process works. Fires and natural disasters are unforeseen and unpredictable, and the recovery process can be overwhelming. If you’re Business, property or home was insured you will need to work with the insurance company and through the claims process. You may be approached by an “insurance adjuster” who claims he or she can obtain a more favorable settlement from your insurance company. You should always be sure to run back ground checks and seek references. Check with the Better Business Bureau, the Illinois Department of Insurance and ask your Attorney to look into the matter. Be careful of any individual offering a service or benefit that sounds or appears “too good to be true” and contact the Illinois Department of Insurance before entering into a contract or formal agreement that raises questions or suspicion. •A “company adjuster” is an employee of your insurance company. They represent the interest of the insurance company and are paid by the insurance company. They will not charge you a fee. •An “independent adjuster” is hired on a contract basis by your insurance company to represent the insurance company’s interest in the settlement of your claim. They are paid by your insurance company. They will not charge you a fee. •A “public adjuster” does not work for any insurance company, is not a public employee, and does not work on behalf of the State of Illinois, Department of Insurance, or any other public agency. They work for you to assist in the preparation, presentation and settlement of your claim. You hire a public adjuster by signing a contract agreeing to pay a fee or commission based on a percentage of your settlement, or other method of compensation. DO I HAVE TO HIRE A PUBLIC ADJUSTER TO DEAL WITH MY INSURANCE COMPANY? No. However, many consumers find that the services offered by public adjusters can be of a benefit if that Public Adjuster is qualified and has then knowledge and integrity to get the job done. 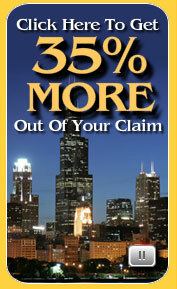 Unfortunately, many of the Public Adjusters in the Chicago Land area are not qualified, and do not have the knowledge. IS A PUBLIC ADJUSTER’S FEE COVERED IN MY INSURANCE POLICY? No. Insurance policies do not cover the fees of a public adjuster. However, a good Public adjuster will earn his fee in the recovery he makes by increasing the claim. HOW DOES A PUBLIC ADJUSTER GET PAID? You must pay for the services provided by a public adjuster. Typically, public adjuster’s charge a fee equal to a certain percentage of the claim paid by your insurance company. ARE PUBLIC ADJUSTER FEES NEGOTIABLE? Yes. All fees charged by the public adjuster can and should be negotiated. WHO WILL MY INSURANCE COMPANY WORK WITH AFTER I HIRE A PUBLIC ADJUSTER? Once you sign a contract with a public adjuster, the public adjuster will notify your insurance company, who will then send all correspondence, including your claim check, to your public adjuster. You should ask the public adjuster to routinely update you on the progress of your claim. An honest and qualified public adjuster always keeps his client advised of the status of the pending claims. DO I HAVE TO SIGN A CONTRACT WITH A PUBLIC ADJUSTER? Yes. Illinois law requires the public adjuster to provide you with a written contract that specifies the services the public adjuster will provide for you and any salary, fee, commission, compensation or other consideration he or she will receive for those services. The contract you sign with the public adjuster is binding and can only be canceled by certified mail within 5 business days after the date the contract was signed. ARE THERE RESTRICTIONS ON WHEN A PUBLIC ADJUSTER CAN SOLICIT ME? Yes. A public adjuster cannot solicit you while a “loss-producing occurrence,” such as a fire, is continuing or while the fire department or its representatives are engaged at your property. A public adjuster is also prohibited from soliciting your business between the hours of 7:00 p.m. and 8:00 a.m. If a public adjuster approaches you during these times you should report him or her to the Department. If you have been approached by a Public Adjuster during these illegal hours do not sign a contract with them and immediately report them to the Illinois Department of Insurance. 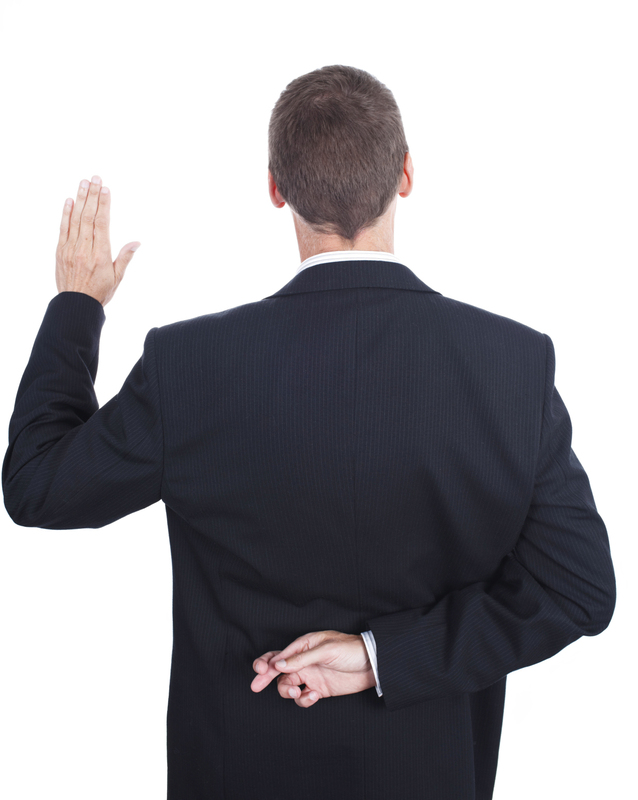 ARE THERE STANDARDS OF CONDUCT THAT A PUBLIC ADJUSTER MUST FOLLOW? Yes. A public adjuster is required to serve with objectivity and complete loyalty for your interests alone and to render to you such information, counsel, and service as will best serve your insurance claim needs and interests. DOES A PUBLIC ADJUSTER HAVE TO BE LICENSED? requires public adjusters to be licensed with the Department of Insurance. Contact the Department at (866) 445-5364 to verify that the public adjuster is licensed and in good standing before signing any contract. Make sure you see a proper License. Also ask if they passed the Public Adjusters Exam. Some have not and still were granted a License. Check to see if they have ever been charged with a crime. In the insurance there are three types of Adjusters. Some may think of them as the “The Good, the Bad and The Ugly” Clint Eastwood fans of course are smiling here. The reality in the insurance industry is, well not exactly that, but can at times be close. Let me explain and provide an understanding of what occurs after you buy your insurance. When you purchase your insurance, it similar to buying a Car. You meet with the salesman and negotiate a deal. In the insurance Industry you meet your agent and discuss premiums, coverages and believe all is good. Or so you think. You do not discuss how the coverage applies. What is hold back depreciation? Why payment is made in parts? Why you are not fully protected? In other words there is really no discussion on how the claims process will work in the event of a loss. When you need service on your car, you do not go back and visit the salesman for the repairs. You go to the repair and service department where you are met with what is usually bad news on the cost of the repairs. Similarly in the insurance adjusting industry, when you have a claim, your agent is relatively not involved and in fact has little to no control over the eventual settlement of the claim. He or she merely calls in the claim. The adjuster from the insurance company like the repair man oversees and evaluates claim payments. Now let’s address the three types of Adjusters. The first type of Adjuster are those which the public is commonly familiar with and are portrayed in all the commercials and advertising as being “a good neighbor” or “the good hands people” or “there on your side” These are the “company Adjusters”. Who are they really obligated to? Who pays their salary and holiday bonus based on work performance? Simple. They are adjusters who work for, represent and are obligated to the insurance company. They are “Company Adjusters”. They are direct employees of the insurance company. The Second type of Adjuster is similar to the “company adjuster” with one little difference. They are for, lack of better words” hired guns” to represent the insurance company interests. They are known as “Independent Adjusters” They make their living on how well they perform for the insurance company – the party who hired them. Their obligations and loyalty is strictly to the insurance company, not the victim – the insured who has suffered the loss, and has been damaged and displaced from his or her home or business. The “independent Adjuster” is brought in by the insurance company. The independent Adjuster answers to the insurance company NOT the insured – the property owner. Interestingly in most states, the “Company Adjuster” and “the Independent Adjuster” who are controlled by the insurance company do NOT even have to be licensed or required to pass an examine to conduct the business of insurance adjusting for the insurance company. The amount of training and knowledge these two types of adjuster possess may at times be frustrating and highly questionable, especially on large complicated losses. The Third Type of Adjuster, one which represents the interest of the victim, the insured only and not the insurance company is a “Public Adjuster”. Some times referred to as a private adjuster or PA. Public Adjusters are licensed, tested and bonded to act on behalf of the property owner. Yes, they have to pass an examine and meet other standards which the other two categories of Adjusters do not. The Public Adjuster only represents the property owner in the claim against the insurance company. They are the watchdogs of the industry. The Job of a Public Adjuster is to maximize claim benefits for the property owners – the clients. They do it on a daily basis. Harris Claims Services has been doing exactly that for over 20 years. Now what happens after a loss occurs..
An Adjuster from the insurance company is assigned to handle the claim. The Independent or Company Adjuster – each one – represents the insurance company and has a fiduciary responsibility to protect the best interest of the company, while at the same time agreeing on a loss payment solution. They do not represent the interests of the insured – the one who suffered the loss. As with any business enterprises Insurance companies, by any legal means, are constantly on the lookout for cost saving strategies to reduce the claims and payments. Their adjusters are constantly trained and evaluated on their use of such strategies. They employee strategies such as – “you must use one of our vendors” or the “you can’t buy that at Best Buy you have to buy it online” or “ it’s not covered under the policy” or “it was a small fire it really does not smell we can just wipe down the soot” or “we don’t pay for a claim when the house is vacant for over 30 days”. There are many more examples of such but that is for a separate article for another day. In my 20 years as an Adjuster and also as an Attorney, working on both sides of the fence, I have met very fine and knowledgeable adjusters who represent insurance companies. I am friends with many of these individuals. We, even as friends understand, persons working for the insurance companies have a job to do. Keep the loss and payments low. Where on the other side, we all understand the job of the Public Adjuster, like an Attorney is to represent the interest of the insured to the best of his ability and therefore maximize the claim. All sides act in a professional manner and seek to perform their job responsibilities. Interestingly, many adjusters working for insurance companies appreciate a well-qualified Public Adjuster. They know and understand that they are confronted with an individual working on behalf of the owner who has the knowledge and expertise to negotiate and get the claims settled. This is not to say ever loss is simply a matter of crunching numbers. One problem which occurs is what could be referred to as the “Power House” company adjuster. This is the Company or Independent Adjuster who believes they are almost god like and their decision is final. These bad eggs can really be problematic. They are a problem and a nightmare for the property owner. They are bullies and until someone stands up to them, bullies never change. In such a situation, the property owner should give very strong consideration to qualified public adjuster who is knowledgeable in all aspects of the claims and perhaps the laws of the state. These type of adjusters usually do not back down unless threatened with information which has some type of legal backing. Sometimes appraisal in such a situation is required in order to remove this type of adjuster from controlling the loss. Then there is the issue of insurance company adjusters who are simply overworked and underpaid. Due to the stress of their jobs, a huge percentage of company adjusters only stay in the field between one and five years. Turnover is high. Some are good, some are bad and many don’t have enough experience or training to evaluate a large loss. This is another situation where a qualified public adjuster can help and give a proper review and adjustment of the claim. When a loss occurs which you believe may be over $10,000.00 give serious consideration to hiring a Licensed and Bonded Public Insurance Adjusters. They can handle all aspects of the claim process. In many instances your agent and the insurance company’s adjuster will tell you almost anything to get you to cancel your contract with a Public Insurance Adjuster. Why? Because Public Adjusters Statistically recover more money on claims where they are used as opposed to when an insured try’s to settle the claims themselves. Insurance Adjusters and Agents have even threatened my clients. For example, advising them that they will cancel their insurance policy if they don’t cancel the Public Adjusters contract. Such a statement should be the first indication that you made the right choice in hiring a Public Adjuster. Insurance Agents usually do not like to see large losses occur on policies they have written. They are reviewed by the insurance company and the insurance company then may question what types of properties they are insuring. Ask an insurance agent about a Profit – loss ratio and see if they can explain it. It is not a good thing for a direct agent to suffer a lot of losses. When hiring a Public Insurance Adjuster you are signing a legally binding contract which is enforceable under the laws of your state. Most states allow for ten-day cancellation period. In other words, you have ten days to see how a public adjuster works and owe nothing. The peace of mind a public adjuster brings to the insured is hard to describe. Many have stated to me, “I felt the weight off the world on my shoulders until I hired you. ”. “Thank God you were there”. “ I never knew you guys existed” “how do insurance companies get away with this” This list goes on. 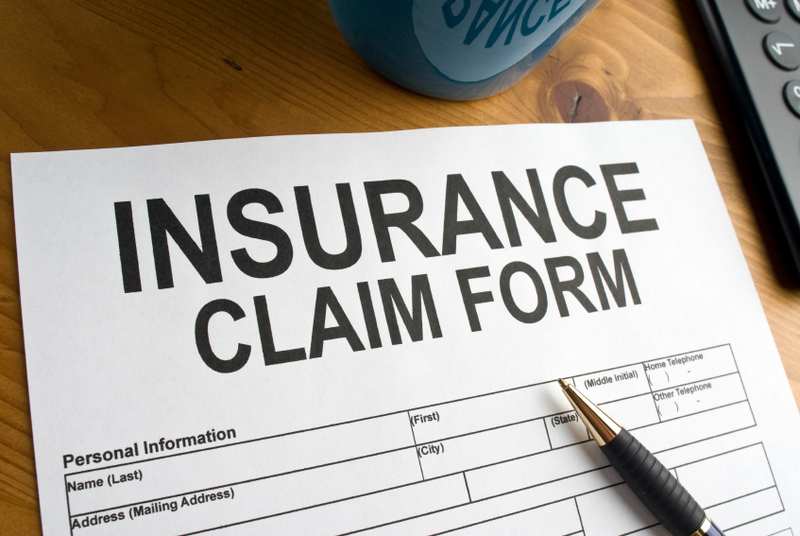 An insurance claim payment can be increased 20% to 50% by a competent Public Insurance Adjuster. Many Public Adjusters charge 10% of the total loss as their fee for this service. In conclusion, at a minimum, the insured –property owner should give consideration to a meeting with a Public Adjuster. As stated above there is usually no charge, and as we like to say, knowledge is power, power is leverage, and leverage will get you what you are entitled to. JASON HARRIS has over twenty years of experience as an attorney in the insurance litigation industry. He is also a licensed, tested and bonded public Insurance Adjuster in Illinois. His companies, Harris Claims Services and others have assisted insured throughout Illinois and the Country. There is absolutely no obligation and welcomes the opportunity to discuss claims with properly owners. Any one suffering a loss is urged to check with their state’s department of insurance to make sure the party they are speaking to is licensed tested and bonded as public adjuster. They can be reached at 847-329-8444 or visit them on the web at www.HarrisClaimsServices.com. Harris Claims Services – To our neighbors on the East Coast who suffered damages from Hurricane Sandy we hope things are getting better and would like to provide some information to you. By now FEMA, Allstate, State Farm, American Family and other insurances companies have adjusters on the ground assisting the situation and adjusting the disaster and losses. Homeowners are still assessing the damage from Hurricane Sandy and reaching out to their insurance companies. It can be a complex process. Good and Professional Public Adjusters like those at Harris Claims Services can offer advice. There is no fear of papers to sign. Consultation is no obligation. Get the information and then decide on how to proceed. Below is some advice on how to get started and navigate the system. By now, homeowners should have called their insurance companies. If not, do so immediately. Many insurance companies have brought in additional adjusters and employees to the area to assist. Make sure to read through the policy to see what is covered, the amount of your deductible and any riders you may have. Your Agent should have this information. Make sure to have an expert also look at it for any additional coverage’s or possibly exclusions that might affect your loss. For instance, your household insurance may not cover damage from flooding, but it may if the flooding is from a sewer or storm drain backup. Don’t assume your broker knows your policy. “You can be given misinformation by the broker,” We have seen this many times over the past few decades. 2. ASK THE QUESTIONS – GET ANSWERS. Tell the insurance company what was damaged, and ask representatives specifically what is covered. Ask about who pays what bill. Where will the check go? Who will be on the Check? Most likely your mortgage company will be on the building portion of the check. Follow governmental websites that can be of assistance and track and research any company you intend on hiring to represent you or perform repair work. Unfortunately, there are people who take advantage of disasters and charge more than is necessary or are not qualified to do the work. It causes more stress and unfortunately can damage an industry where there are in fact good companies looking out to help and get you back on your feet. Un-qualified companies may come from out of town. Many are not qualified or licensed. Make sure the workers are licensed and insured. Get references and the entire job’s costs in writing. A reputable contractor will know how to work closely with a private – public adjuster or with the insurance company adjuster. If they are qualified they will make sure that your damages are covered and enter into a payment plan which suits your needs. Make sure the company has a permanent address. Check the Court history for lawsuits and call the attorney general who may have a complaint history also. Get a contract and review it carefully for hidden charges. 4. HIRE AN ATTORNEY OR PUBLIC ADJUSTER – PRIVATE ADJUSTER? Most claims are handled without problems by the claims adjuster assigned by the insurance company, experts say. If a claim is taking longer than expected, homeowners can hire a public adjuster or attorney to help expedite the claim. Harris Claims Services is operated by individuals who have a public adjuster license and law license. The Insurance Information Institute recommends checking references with family and friends, and calling the state insurance agency before hiring a public adjuster, who must be licensed. A public adjuster can be an important advocate if your insurance company is balking. A good and reputable Public Adjuster will not charge a fee for a simple consultation which should give you the information to make an informed decision on how to proceed. For those with non-flood related damage, sufficient household insurance will most likely cover the damage. If damage is from wind, such as a hole in the roof, it is covered by household insurance. You can speak with the Insurance Information Institute, an industry group based in Manhattan. However, if damage is due to storm-related surging floodwater, it may not be covered by home insurance. We recommend a careful review of your policy before accepting such a denial. There is also special flood insurance from FEMA, or the Federal Emergency Management Agency. Make sure claims are filed with both FEMA and your insurance company. FEMA expects homeowners will be having many issues and discussions with the insurance adjusters as to what is covered by which act, the sky, the rising water, the storm surge or other. An inventory of all aspects of the claims must be completed. If it is not done correctly you may lose out. Take pictures or videos or both of the damage to the house and property. Keep notes or a journal of discussions with the insurance company and the adjusters. Keep receipts to demonstrate the cost of additional living expense you have incurred. Be patient. Check for damage in places that may not be apparent. Hire or request structural engineer to look at the situation. There can be hidden damages. Public Adjusters such as Harris Claims Services routinely uses structural engineers to assess the hidden damage. Look for cracks in swimming pool or lose of mortar between the bricks or doors that no longer close correctly. These are signs of issues with the structure. Again a qualified and professional public adjuster or as some call them private adjuster such as Harris Claims Services can help. 7. EMERGENCY REPAIRS AR OK- BUT KEEP A RECORD. It’s fine to make emergency – temporary repairs. However, before beginning the major work you must get the loss adjusted and completed with the insurance company adjuster. Your policy of insurance is a contract between you and the insurance company and you do not want to allow the insurance company to claim that you breach that contract. There are many terms in the policy that outline the obligations of you the insured and the Insurance Company. Insurance companies will hold you to the language of the policy of insurance. .
Again have your policy review and get a few opinions on the extent of the damage. There is usually hidden damage and there are almost always clauses in the policy of insurance that allow for additional damages and monies to be paid. Even if you have exceed the limits on the declaration page. Keep receipts for everything. It is believed Long Island will or has been declared a disaster area by the federal government. It’s a good idea for everyone who took damage to get the story told into the FEMA system. Those impacted by the storm should contact the agency and file a claim, even if the homeowner has insurance. There is also the possibility that Grants and low-cost loans may be available for things not covered under insurance. State Department of Financial Services can handle questions regarding insurance issues. Both counties have consumer affairs departments where homeowners can check to see if a company is licensed and bring complaints. Also the state attorney general’s office is handling complaints about price gouging, which is illegal. Phone numbers and websites to look at for assistance are listed below. HURRICANE SANDY HELP BY Harris Claims Services – Jason Harris Licensed Attorney and Public Adjuster. Should you Fight or Dance with the Insurance Company Adjuster? Your home or business has suffered a disaster such as fire or water. Is it time to fight, or is it time to dance with the insurance company adjuster? Feel the mood, listen to what they have to say, determine if it sounds true and then get ready to dance. Or in some cases get ready to fight, hire the experts, lock and load and fight for what you deserve. Your insurance settlement! It is unfortunate but in most circumstance one must be ready to fight and demand to get what you deserve, a fair settlement. First – Fight or not to Fight? Do you really get more Bee’s with honey? The decision to make a stance early on is not an easy one. It really depends on who the adjuster from the insurance company is, his qualifications, his mood, years at the company ect. In other words, it is not really the company, but the adjuster that is assigned to your claim that will dictate how you decide to respond. One can usually see within a week or two the intentions of the company adjuster. So let’s assume it will be simply a dance which needs to occur. Then again maybe and most often not. Second – Who will be leading the dance? The insurance adjuster deals with insurance claims on a daily basis and naturally wants to lead. He will want to establish his superiority over you and tell you how it will work and how you get paid. After all, what do you, the insured, know about insurance adjusting. He’ll steer you this way, and then that way, gracefully and smoothly, slowly spinning you around the dance floor. He will try to get you from one side of the dance floor to the other. But at what cost? Sure, it’s easier to follow, but doing so requires giving up control. It’s your home, so, clumsy as you may be about filing paperwork, insist on being heard. Make sure everyone understands it is you who has suffered the loss. You have the right to decide on matters, not the insurance company adjuster. You decide who does the restoration and who does the repairs. Third – Does it really take Two to Tango. While your insurance adjuster wants to remain in control and keep the money in the insurance company bank account, it takes two to tango. You have the right to disagree. You can negotiate. You can point out errors and omissions. If you want a fair insurance settlement, you need to get involved and you must be willing to be assertive. Otherwise, your insurance adjuster will sweep you off your feet and glide you across the dance floor, all according to his terms. Maybe you need a new partner. Someone who cares about you and not about the insurance company. Someone to support your position, — A public Adjuster perhaps? Fourth – Do the Hustle. Be prepared to do most of the work. Fire and Water damage claims often involve extensive damage and major losses. But guess who’s responsible for documenting those losses? You are. Sure, your insurance adjuster will come in, snap a few photos, take a few notes and maybe bring with him his own partner, the “insurance company contractor.” Company contractors love to do the hustle. That is all they know. They own that dance floor in their eyes. Why shouldn’t they think so? They were brought to the dance by the company adjuster who is rolling out the red carpet for them? Why? Because they save the insurance company. In exchange they keep getting invited to the dance. But remember, be assertive, be positive, take charge. With the help of a public adjuster or if need be an attorney, you can be in control, you can provide the company adjuster with proof of your losses, supported by dozens of photos and create a detailed list documenting every single item that was damaged or lost. Public adjusters assess the damages, create estimates and “work only for you, the owner of the business or property.” Public Adjusters do not dance with the insurance company adjusters. They fight them. They fight them all day and night. They enjoy the fight because they love to the dance with the home owners. Public adjusters earn their living by serving the property owners not the insurance companies. Fifth – Mind if I cut in? Let the public adjuster cut in and take control, relieve you of the stress and take charge. Remember public adjusters report back to the property owners, not the insurance company. So it is the owner of the property that is then really controlling the dance. Statistics demonstrate it is financially wise to allow a public adjuster to handle the matters of insurance adjusting. Public insurance adjusters, such as the ones at Harris Insurance Claims Services are insurance expert who represents your interests and negotiate directly with your insurance company for your benefit. If your property is damaged by fire or water strong consideration should be given to hire a or at a minimum discuss the matter with a qualified public adjuster. Harris Insurance Claims Services provides free consultations and have been dancing and fighting for the rights of property owners for decades. Knowledge is power. Take the time and understand the dance.